The drugstore beauty aisle can be a wondrous place. So many options! So cheap! Sometimes it’s tempting to load your shopping basket with absolutely everything within reach. But then other times, the drugstore beauty aisle can be a dark, stressful place. So many options! So cheap! The packed shelves can feel overwhelming, and it’s hard to know where to start. And sure, the prices are inexpensive, but do you really want to waste five bucks on a something that’s as effective as a bottle of air? The hairstyling section of the drugstore beauty aisle can be extra-puzzling. When it comes to choosing the right hairspray, for example, it’s like playing a game of Russian roulette. Will this $8 can be a miracle worker or will it leave my hair flat, greasy, and crunchy? To help you walk through the drugstore like a woman on a well-informed mission, it’s best to arm yourself with some advice from someone in the know. Enter Jonathan Antin of Jonathan & George Salon in Beverly Hills. Antin has access to just about every hair product on earth, so we called on him to give us his fave hairstyling drugstore products that work just as well (if not better) than the high-end stuff he uses on his fancy (read: loaded) clients. 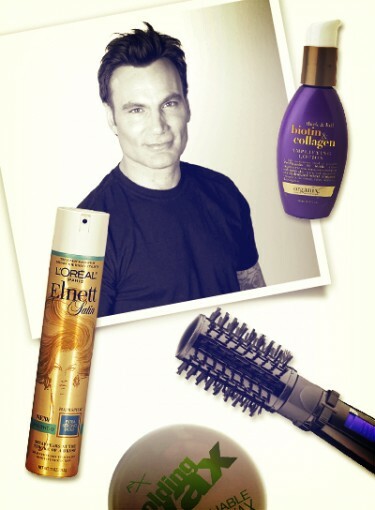 Want to know which cheap hairstyling products and tools Antin gives his gold star approval? Keep clicking.